The Rebel Sweetheart. 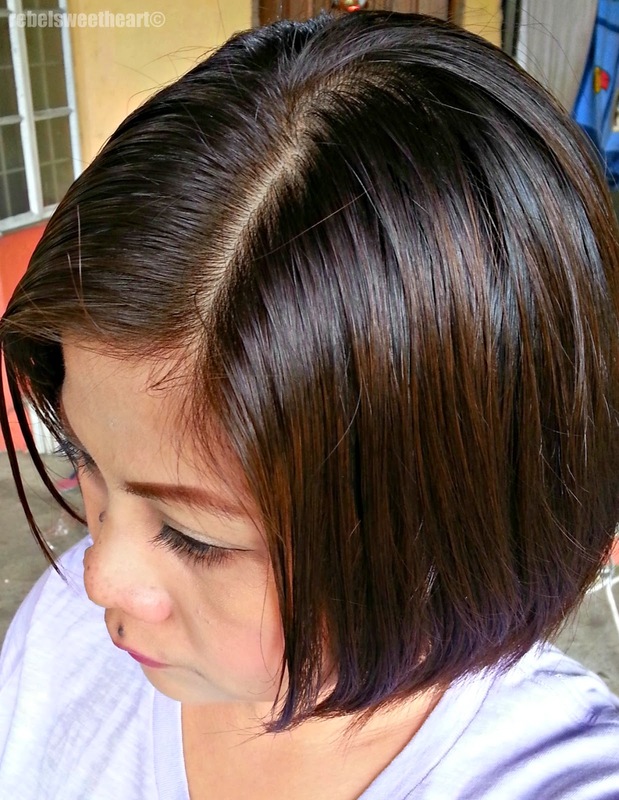 : Hair Story | Etude House Bubble Hair Coloring in Mocha Pink. 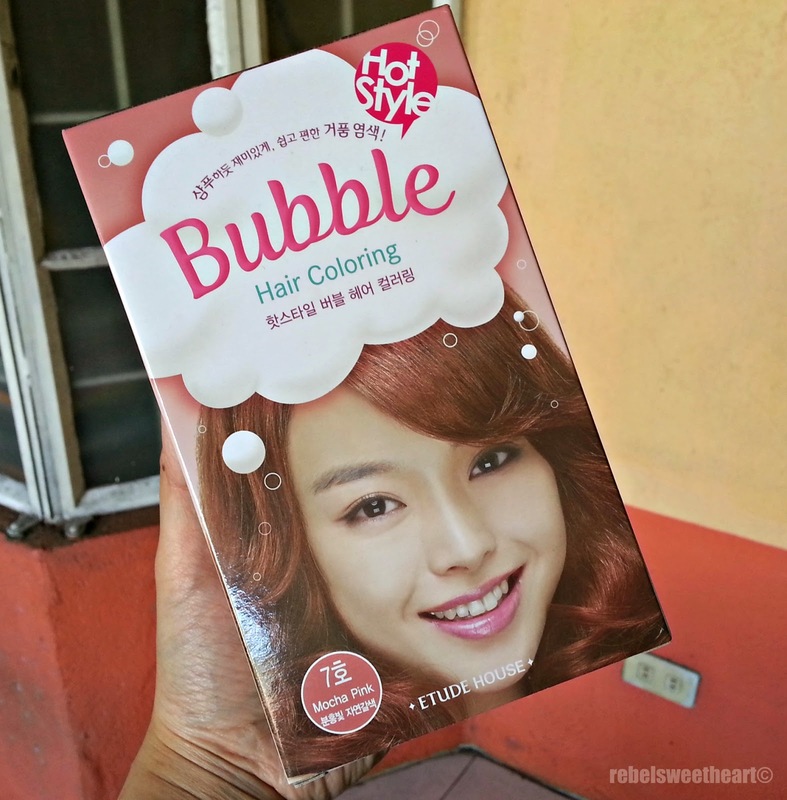 Hair Story | Etude House Bubble Hair Coloring in Mocha Pink. If you've been following this blog for quite some time, then you probably know or have read about my DIY hair coloring adventures. I've been using DIY hair color for the past two years or so, and have tried different shades of this Bubble Hair Coloring from Etude House. Etude House Bubble Hair Coloring in Mocha Pink. Silky Perfumed Hair Treatment, Latex Gloves and Plastic Cape. This one's Mocha Pink, the most elusive shade in the Bubble Hair Coloring line. Well, at least from my experience, that is. I've always wanted to try this shade but it's always out of stock whenever I visit Etude House. I finally managed to chance upon one from Etude House Festival Mall a few months back, though I wasn't able to use it right away. The reason? 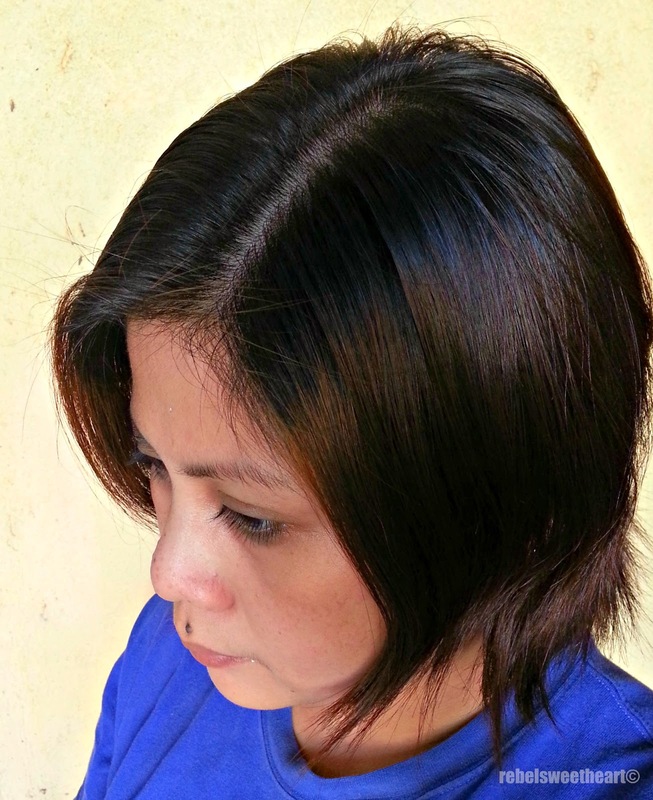 I had my hair colored at the salon (for a change, lol) last August, and well, it took awhile for the color to fade. So anyway, here are the before and after photos of my hair. (For the step-by-step instructions on how to apply the product, click here.) My previous hair color was a combination of Schwarzkopf Medium Blonde and Warm Copper, and you can still see hints of it in my now grown-out bob. It turned into a Medium-kinda-Brown after dyeing it with Mocha Pink. You may not be able to see it in this photo, but the roots of my hair are brownish pink. Wanna go for DIY hair coloring, too? The Hot Style Bubble Hair Coloring is available at Etude House branches for Php 428 per box. Love your new hair color. I haven't tried this color as yet as I'm scared of the outcome. Certainly something which I can consider the next time I dye my hair. I love this color on you. It's been a while since I dyed my own hair. I started seeing a few greys so I plan on dying it soon. Very Lovely color! Thanks for sharing! that looks like a great color. I will have to check this out! This looks great for you. Nice color output at the end of the day. Bubble Hair Coloring sounds like a great product for everyone who would love to try different hair colors. Beautiful color on you. I feel curious about coloring my hair because I never have, other than highlights. That looks like a great color. I have been coloring my own hair the last couple years as well. I haven't seen this brand but will keep my eye out. I just dyed my hair red auburn. I love how your hair looks. It looks really cute on you. Thanks for sharing.